Young County Old Jail, Graham Texas. 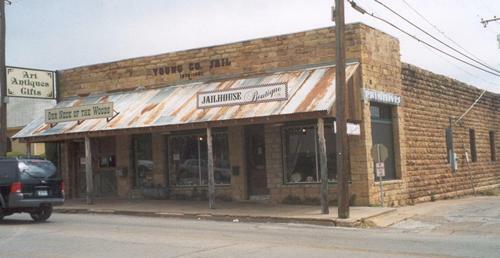 "The old Young County jail in Graham, used from 1878 until 1921, now serves as an antique store and gift shop." 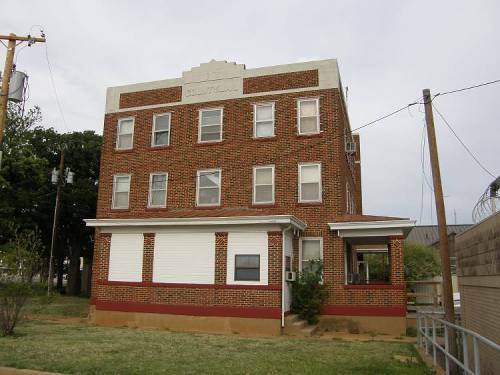 This jail was built with two stories in 1878. The jailer lived downstairs, and above were two cells--one with a steel cage for maximum security. There were many dramatic jailbreaks, with lives lost on both sides of the law. In 1881, killer Jack Post, the only man legally hanged in this county, rode from the jail astride his coffin. The five Marlow brothers broke out in 1888, causing a major shootout and manhunt. 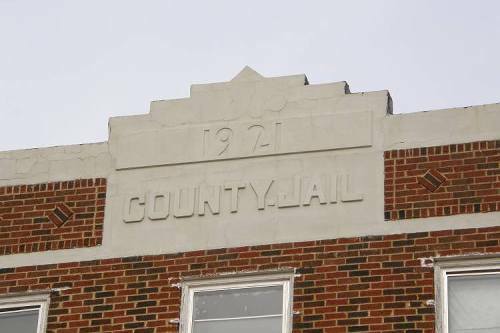 The property was phased out as a jail in 1921, and saw many changes in use and appearance before being bought by Kelley B. King in 1975.